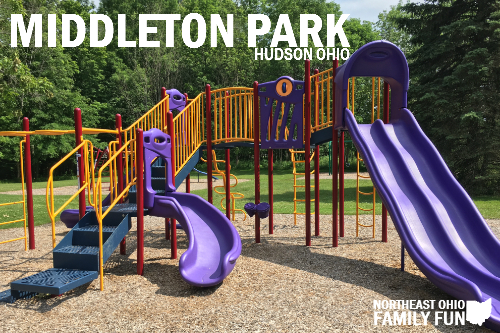 Right in the middle of a wooded neighborhood lies Hudson’s own Middleton Park. 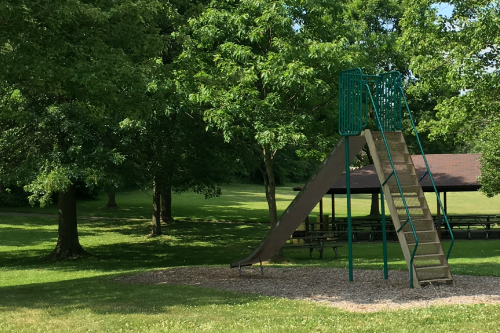 The park is home to a basketball court, baseball field, walking trail, pavilion, grills and playground. 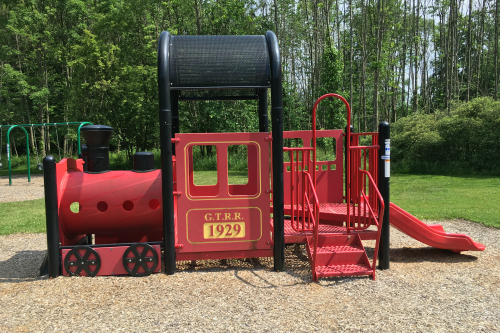 This smaller scale park fits a lot of fun into just nine acres. The gravel parking lot is compact, but it never seems to be full when we visit. A port-a-potty sits in the parking lot, and it is the park’s only bathroom. A partially gravel, partially paved pathway winds through the basketball court and baseball field areas, leading toward the playground. Helpful Tip: It is a bit of a walk from the parking lot to the playground, so be sure to bring your stroller or wagon if needed. 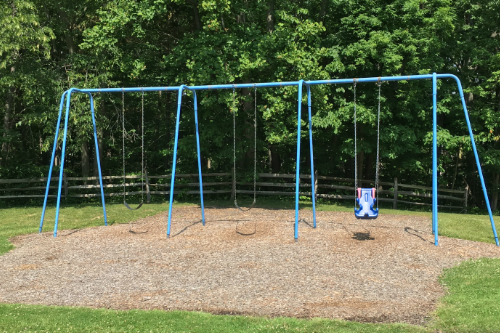 Although the actual park is fairly small, there is still a wide variety of newer play equipment. There are two larger play sets for bigger kids, as well as two smaller sets for the little ones. 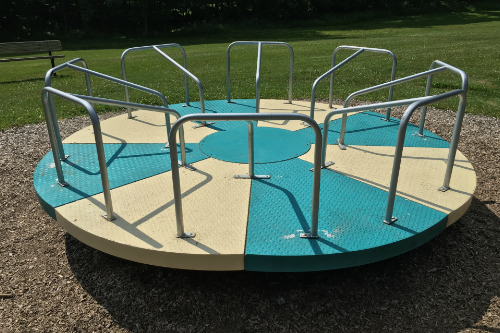 There is also a stand-alone big slide, a merry-go-round and two separate sets of swings. It is a great park to keep different age groups busy without having to run around a huge space. 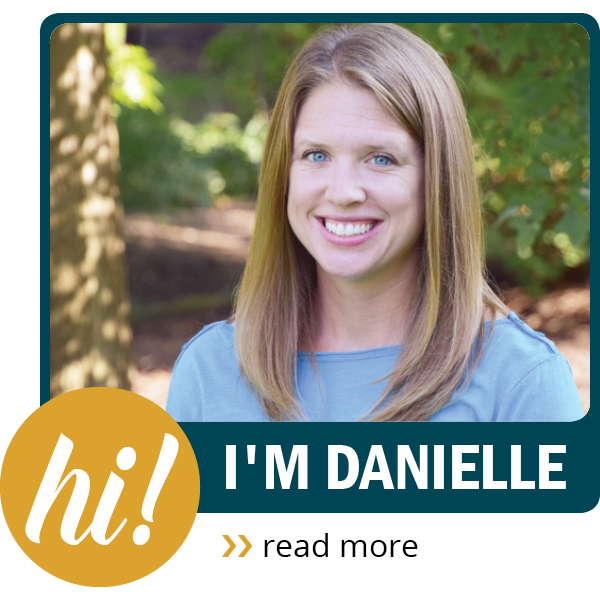 One of our favorite aspects of Middleton Park is that it is very rarely crowded. Our playgroup visits and we are often the only ones there, which offers a unique experience for the kids. It’s almost like having a large playground right in your own backyard.